Big Pharma and medical device makers have opened their wallets for a 2017 lobbying spree, throwing tens of millions of dollars around the nation’s capital, including to campaign with lawmakers and regulators to defend their soaring prices and to speed the path for their products to get to markets. But credit’s due to officials and organizations like Stat, the online health information site, for building a greater urgency behind a different narrative: It may be as crucial to monitor and regulate drugs and medical devices after they’re publicly available as pre-approval. A two-part Stat report, aptly titled “Failure to warn,” dismantles existing oversight of prescription medications, especially regulators deeply flawed, big-data driven initiative dubbed Sentinel. The eight-year-old, $207 million program is supposed to mine insurance records to surface side-effects of drugs recently approved by the federal Food and Drug Administration. Critics point out [it] lacks important data: It relies primarily on insurance company billing records that have limited information; patient records include few people over age 65; the medical providers that feed data into the system use different diagnostic codes for the same conditions; and, perhaps most important, the vast majority of records for people who died as the result of medications never makes it into the system. 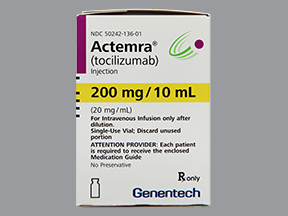 Experts who reviewed Stat’s information on Actemra have criticized the FDA for not pushing Roche, and its subsidiary Genentech, to provide label notices about the drug and its possible ties to heart failure and pancreatitis. … had been pulled from the market after it was implicated in tens of thousands of heart attack deaths, a problem that hadn’t shown up in the short-term clinical trials used for approval. Those early studies suggested Vioxx would be safer for patients than existing medicines. The new drug, Actemra, similarly seemed relatively safe based on short-term studies. It isn’t only arthritis drugs, of course, that demand better and tighter market monitoring and regulatory action—particularly if critics get their way and the FDA expedites its drug- and medical device-approval processes. The agency, to its credit, has taken an unusual step and asked Endo Pharmaceuticals to pull its popular painkiller Opana. The FDA, which cannot order drugs removed from the market without a hearing process that can take some time, said Endo should pull the longer-lasting opioid drug because the risks of its abuse outweigh its benefits. Although Endo, like many makers of this kind of prescription painkiller, had reformulated the drug so it was harder to crush up and to abuse, those steps have not stopped addicts from doing so, snorting and injecting Opana. That has led to a “serious outbreak of HIV and hepatitis C, as well as cases of a serious blood disorder (thrombotic microangiopathy),” the FDA says. The agency has been under fire for its lack of response to the prescription drug abuse epidemic, which, the New York Times has reported, has crossed a lethal threshold: Overdose deaths in 2016 alone exceeded 59,000, taking their largest annual jump ever. They are now the leading cause of death among Americans younger than 50. In my practice, I see not only the harms that patients suffer when seeking medical services but also the huge damage that can be inflicted by dangerous drugs. I agree that the FDA and other regulators need to step up their oversight on prescription medications on the market, particularly in light of recent research that shows that a third of the drugs that hit the market with FDA approval between 2001 and 2010 suffered major safety issues that were only found after the medications became publicly available. It’s long past due, meantime, for the FDA to take the big steps needed to fight opioid abuse—a public health crisis in which the Trump Administration has sent too many wrong messages about its battle plans. Reforming the FDA, as the administration and the agency’s new chief insist they will, cannot make the agency a door mat of drug- and medical device-makers, on whom regulators too long and too cozily have relied to provide critical information on the performance and flaws of their products with tragic results. Officials also have promised to get Big Pharma to contain or roll back its skyrocketing drug prices, with much more talk and less action visible so far. Even here, though, it may be that appropriate action may occur well after drugs are tested, approved, and marketed. Some of the interesting results reported from a recent, major cancer conference, for example, reconsidered drug dosing—with researchers questioning whether colon cancer patients may fare just as well if their chemotherapy regimens were cut in half and whether costly drug combinations really benefit women with aggressive breast cancers. What’s the key takeaway here? We have a lot more work to do with the way we demand oversight of powerful medications and medical devices, and no one should mistakenly believe that they are safe or perfected, even with long, expensive, tough, and excellent trials and testing.